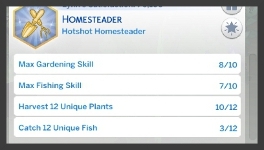 Is your sim tired of spending money on groceries? Do they want to eat healthier? Do they have a lot of free time? Well, then this is the aspiration for them! 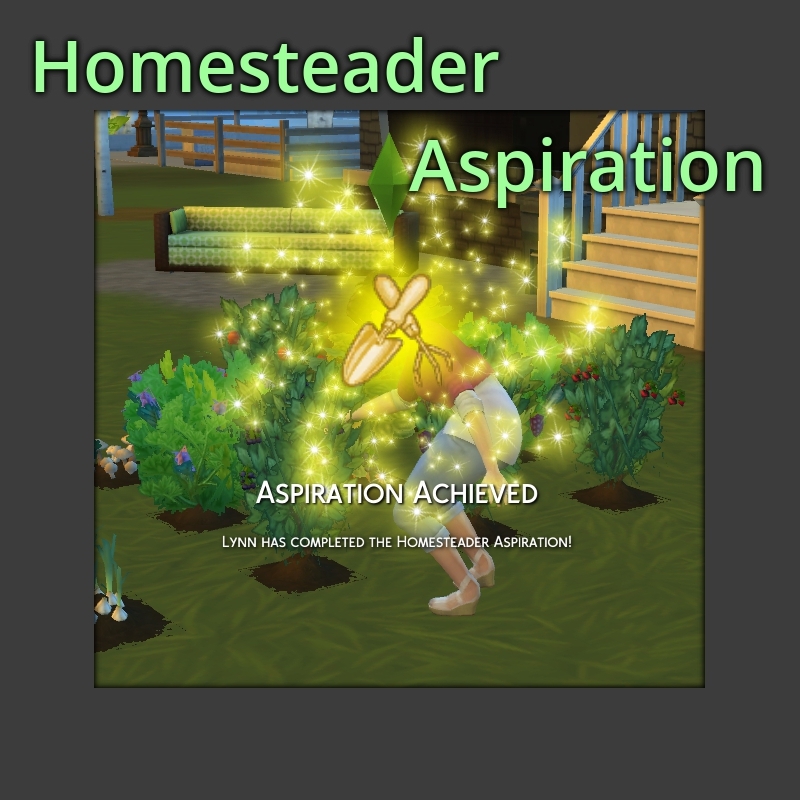 It is found in it's own, new main aspiration category: Eco Friendly. I might add others eventually as well. 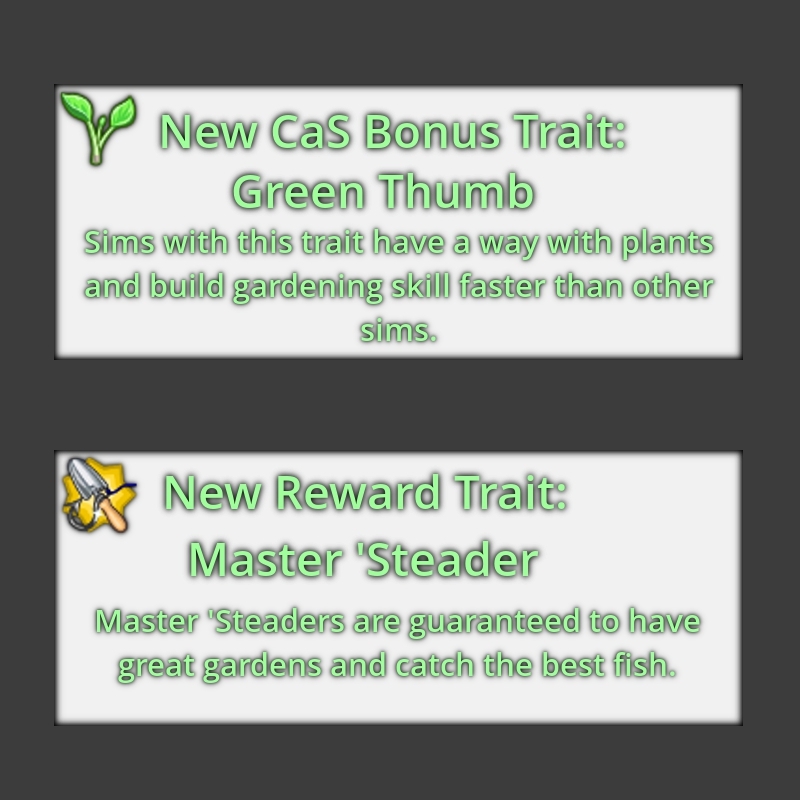 It also has a new CaS bonus trait: Green Thumb, which gives faster gardening skill gain, and a new aspriation reward trait: Master 'Steader, which gives better results from gardening and fishing. 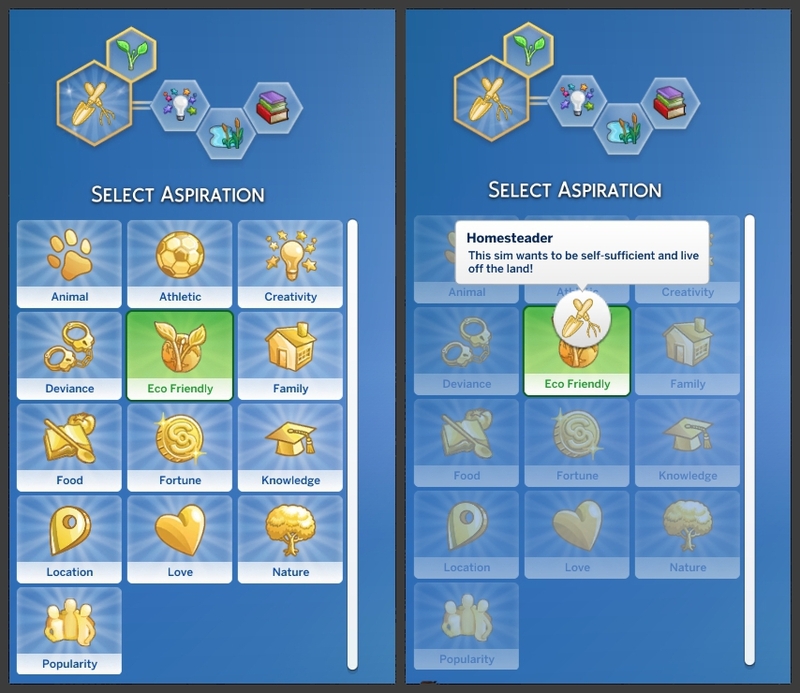 This aspiration has 4 levels. 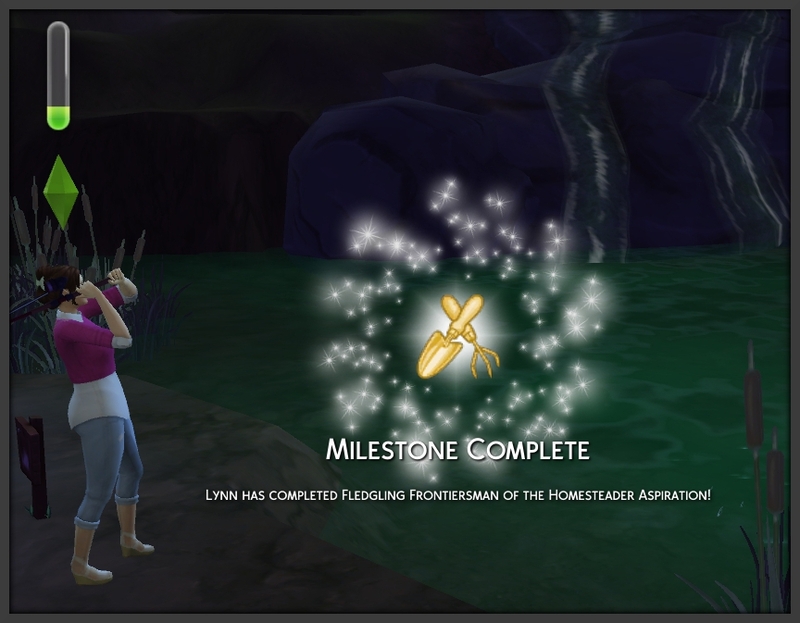 The goals revolve around the gardening and fishing skills. 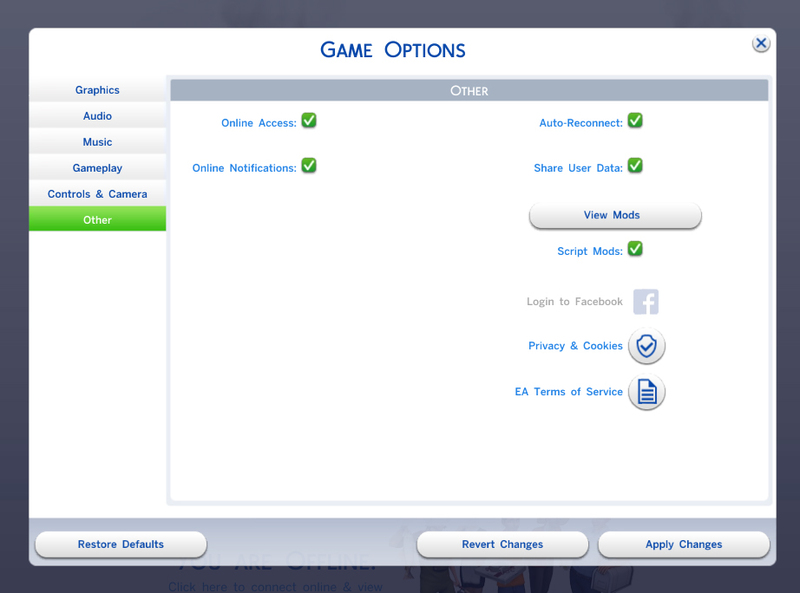 I hope you and your sims enjoy!